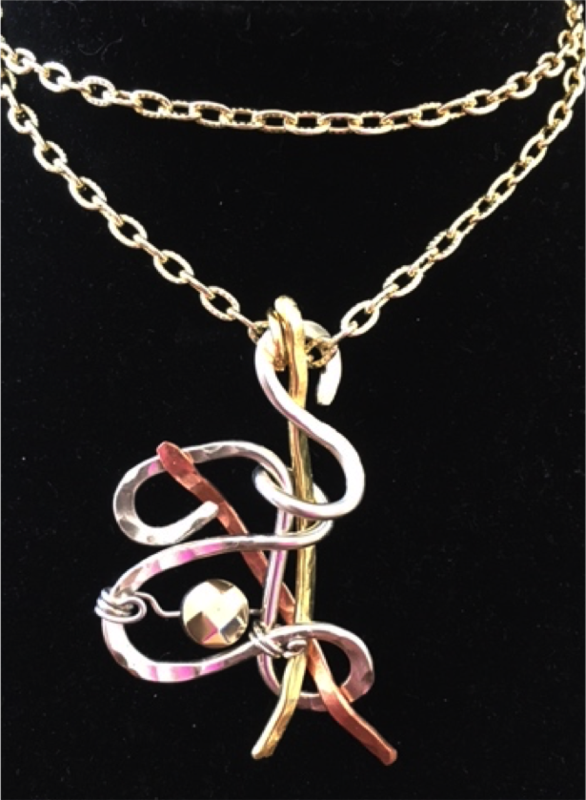 This necklace pendant combines copper, nickel and brass with a pyrite beads. Explanation: . Nickel promotes positive thinking and courage, brass provides the ability to try something new and copper amplifies your awareness and expands your self knowledge. Pyrite amplifies positive energy and enables the wearer to kickstart their outlook on life.